A rundown of Simon Kenny’s unstoppable season. Simon Kenny has had some sort of season it has to be said! 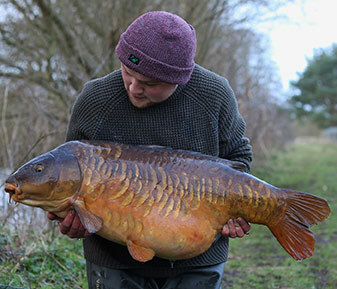 In just a handful of months the Norfolk based welder has banked no less than 54 carp from his target venue, Horton Church lake. 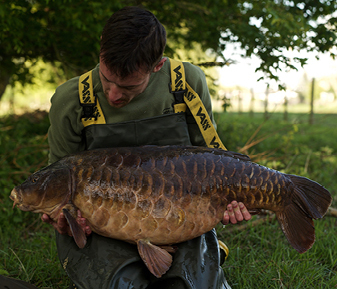 The truly incredible thing is, 16 of them were over the magical 40lb mark! 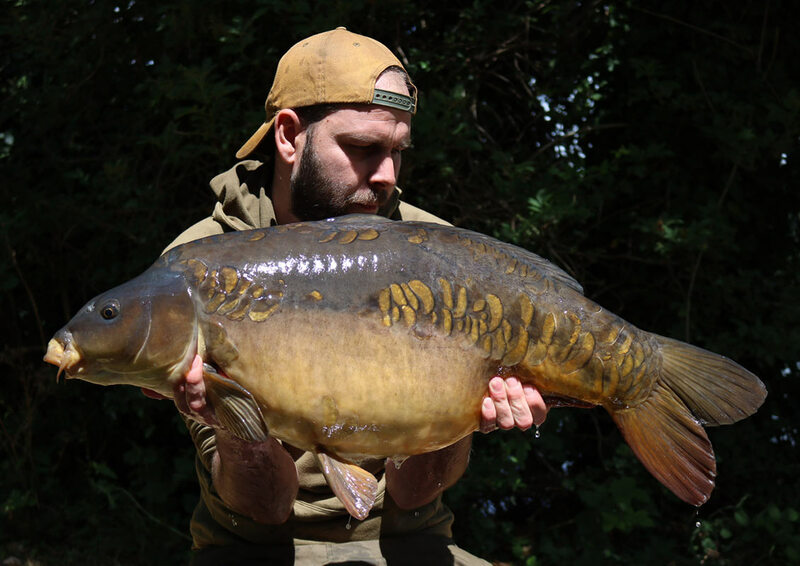 As the season progressed Simon was consistently catching on his favoured hinge rig, which he constructs utilising our ‘Industry First’ Tungskin hook-link material. 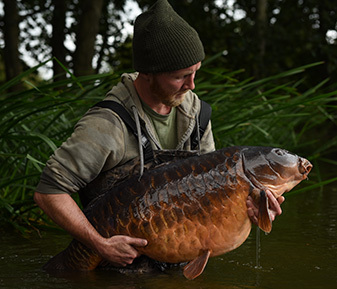 Further into his campaign Simon came on board with Thinking Anglers as a consultant and as such, began using our ‘on test’ hook patterns alongside the newly released Olive Camo Leadcore leader material. Finding favour with the TAOE pattern he gave quick feedback in terms of results. 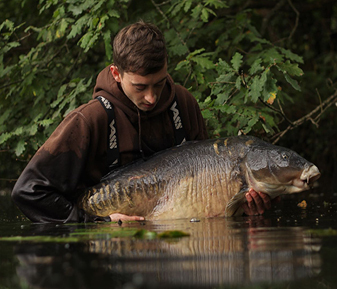 Inevitably, Simon eventually landed the one he really desired from the old pit and drew to a close an awesome spell of angling. Here, he takes up the story to its conclusion. 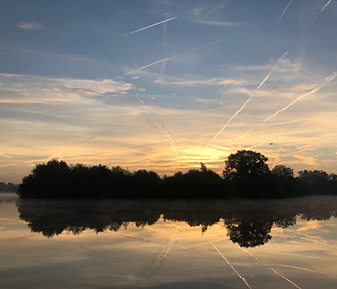 “I turned up to Horton on Sunday and yet again it was set to be blisteringly hot for my stay. 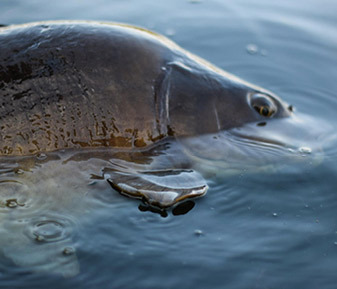 I set off on a lap and sure enough the weedy bay had numbers of carp laying up in the weed. I’d caught 3 fish from here the previous week, so it was a good starting point. I put my bucket down but decided to carry on my lap. 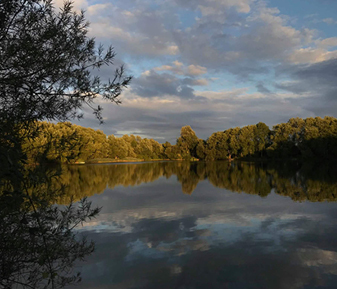 I’ve been trying to regularly walk the church bay as it’s a known haunt of the woodcarving, and the Carving is the main reason I joined the lake. Now I’d walked the bay numerous times before and only ever saw fish ghosting though, this time was different. As soon as I peered into the bottom of the bay I saw 2 fish. They were feeding right up the shelf at times, their tails were out of the water, it was incredible to see. As I stood and watched them, I realised one of them was the Woodcarving. I couldn’t ID the other fish at the time, but it turned out to be Blacktail, so this was a very good opportunity. I went and got my bucket and decided the best swim to set a trap would be Phil’s corner. 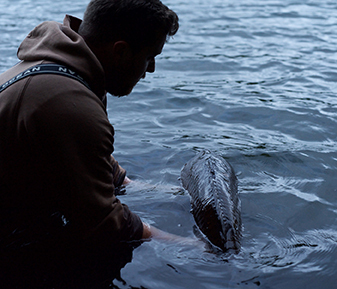 As I was setting my gear up the fish where still there but not feeding, just milling about the general area. 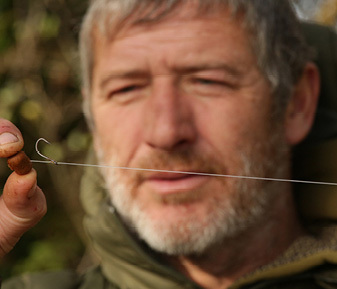 I tied new rigs, my main line was checked and new leader knots where tied. 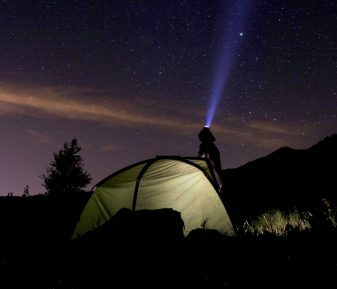 I left nothing to chance – everything was perfect. 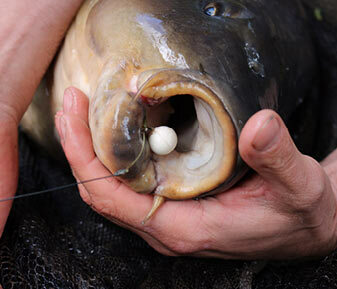 I had to wait a couple of hours for the fish to drift away and once I was sure, I put my rig in using a baiting pole. I didn’t put the rig exactly where they were feeding, but just down the shelf slightly, on the flat polished area. After cupping the rig in, I went to check where it had landed and actually saw the rig foam break off from the hook and the rig lay down perfectly. I baited with a small handful of chops, but made sure to spread them out, I didn’t want a tight baiting pattern. That evening I kept looking but the fish didn’t return. I hardly slept that night! I just kept thinking about that Woodcarving and hoping he’d return. I’d done all I could, everything was perfect. 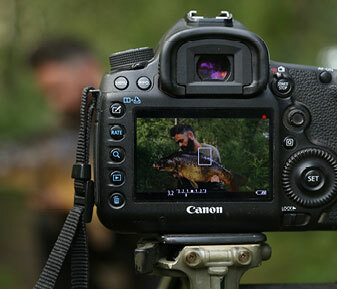 I must have drifted off to sleep because just after first light I had a very slow take on that rod. The fight was straight forward, basically the old boy just wallowed about and I scooped him up. 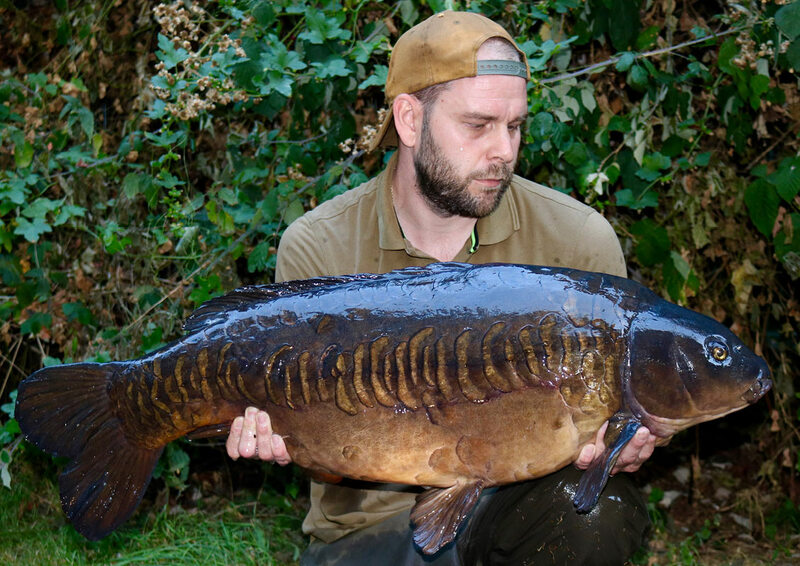 I didn’t get a proper look during the fight, but I just knew it was him and when I looked in the net I saw a long black fish with the linear scales, I knew I had him. What an incredible and perfect end to your time on the famous old venue. When the message ‘your gonna love this one!’ drops, you know it’s going to be a little bit special! 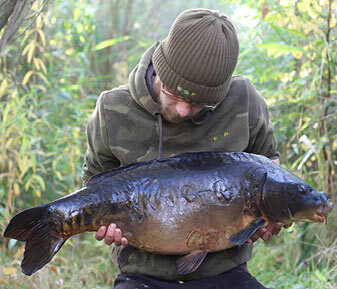 Luke Wallace extracts his latest batch of carp from their reedy sanctuary. 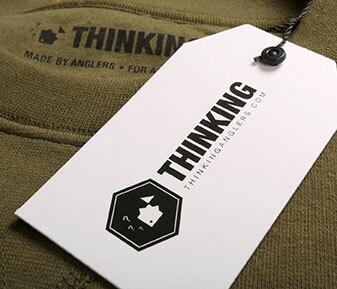 Keep on trend on and off the bank with our latest range of luxurious hoodies and crew necks. 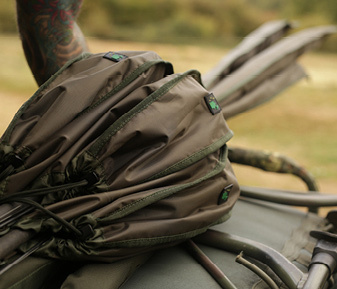 Gaz and Samir leave the cold grey UK behind and head off on a proper boy scout adventure. 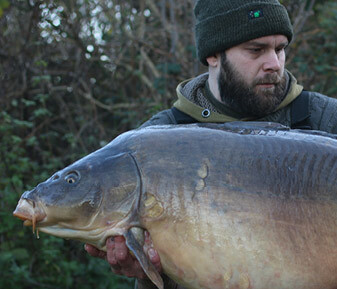 Ben Leuty’s New Year Result! 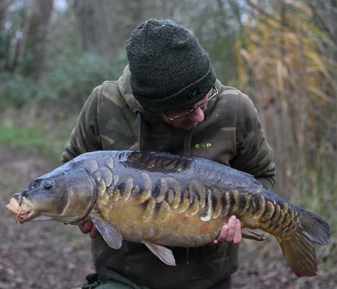 Tony Roberts primes a shallow water spot at Farlows Lake, before lowering his rigs in at the optimum time for some January edge action. 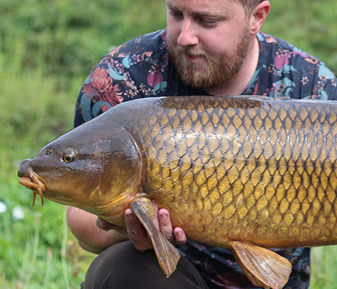 Simon Kenny – Back on the Chods! 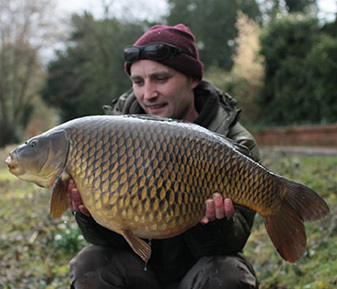 Simon Kenny returns to a local lake, The Nunnery, and adopts a 'chod rig' approach. The Very Best of Endings! 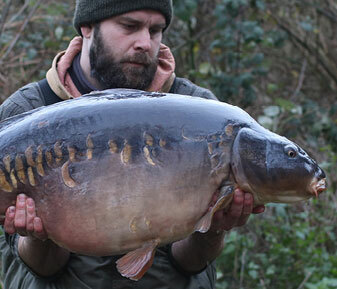 Simon Kenny's Kingsmead assault culminates in yet another huge 50lb winter beast. 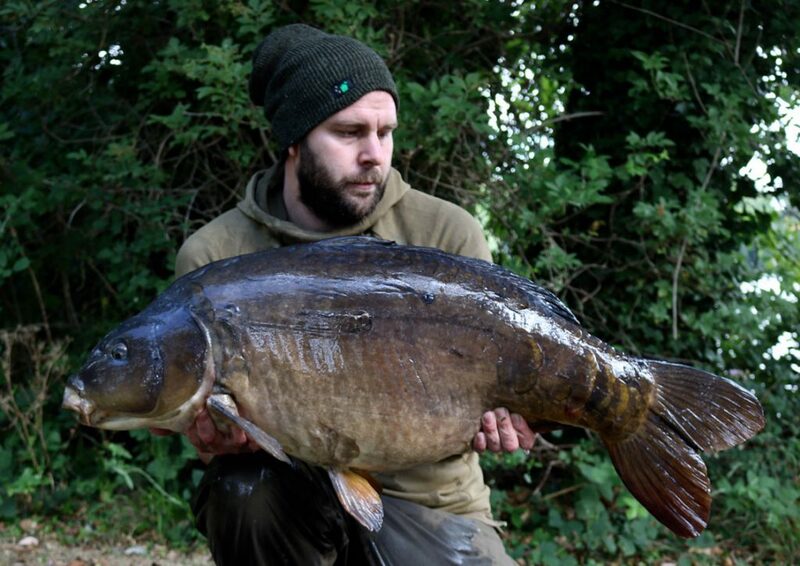 Ben Leuty finished up the year in fine style, in a 10 fish catch using our terminal range 'as standard'. Simon Kenny – December 50! 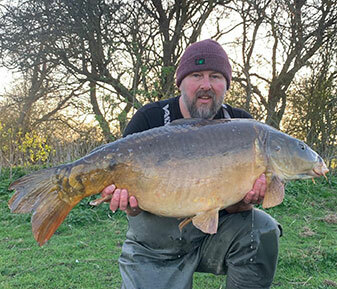 Simon Kenny's incredible run continues once again at Kingsmead 1, using our TA leadcore and hooks. 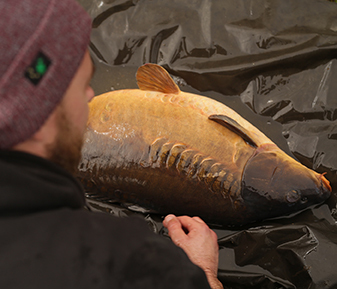 Gaz Fareham and Marcus Howarth venture to Belgium for their annual road trip. 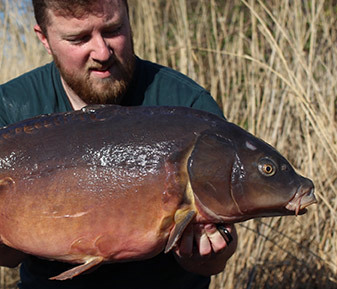 Steve Renyard makes a notable comeback to the scene. 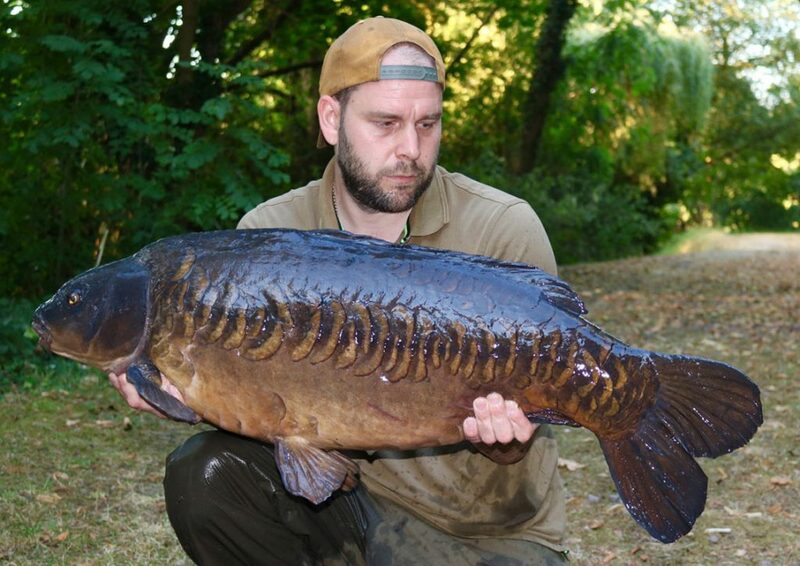 Nick and the Thames Linear! 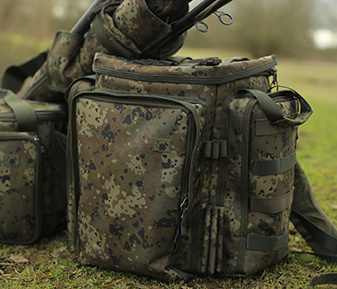 Adjustable rod sleeves on sale now! 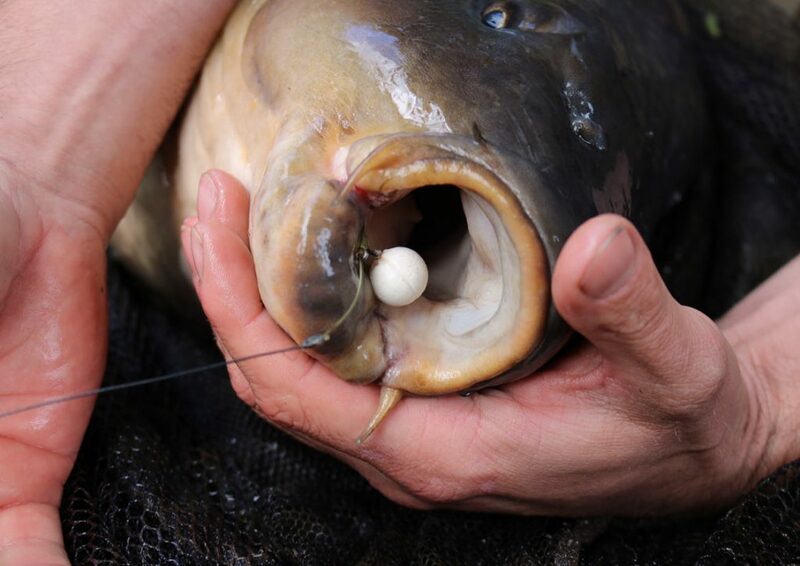 Our new and improved adjustable rod sleeves are now available at all major stockists. 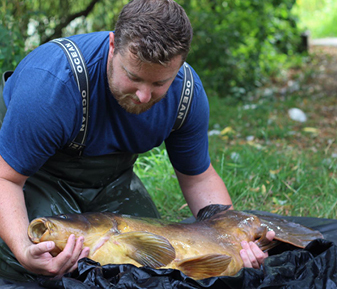 Tom Loraine's latest catch reports after switching over to TA terminal kit. 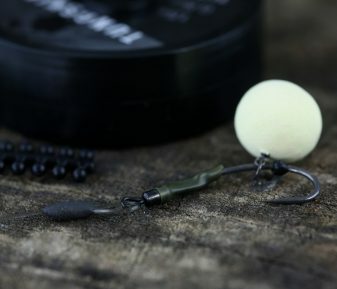 Ben Leuty makes good use of our Tungskin and hook ring swivel screws. 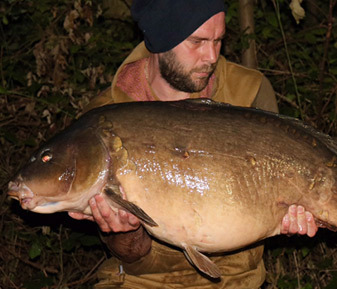 A move onto new venue resulted in a 20, a 30 and a 40 for Scotty K.
Liam Fagg kickstarts his autumn campaign with a bang by landing a 40lb plus fully. 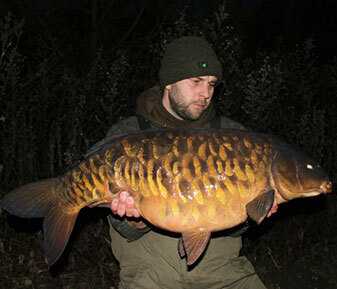 Ryan Maxwell banks the highly sought after 'Copse Lake Scaley' from Yateley's famous Match lake. 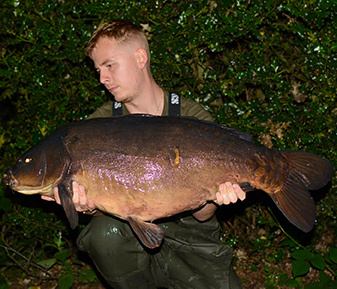 Luke Wallace capitalises on the August full moon phase and catches 6 carp. 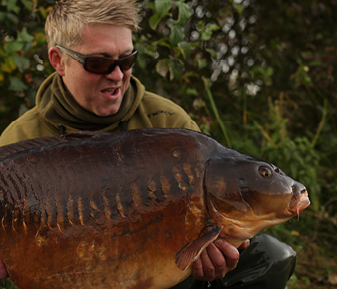 A Bramblemere session to remember! 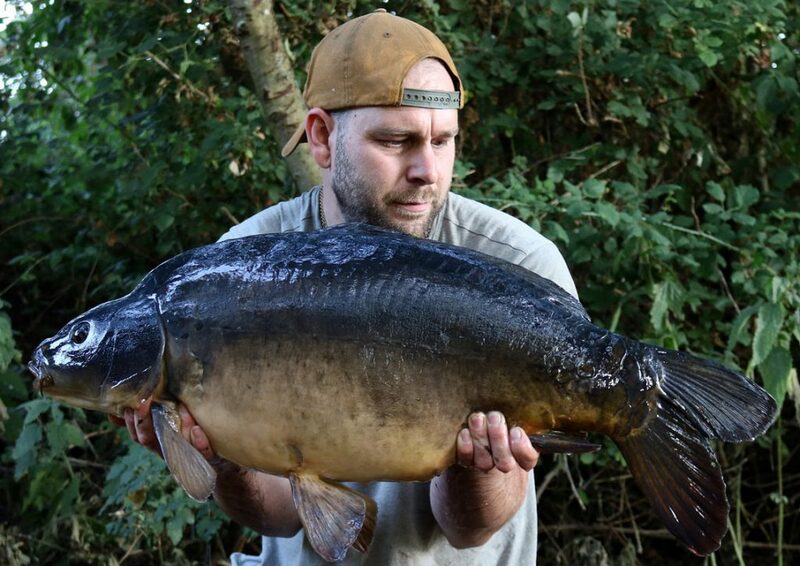 Olly Lukar's used our 15lb Tungskin and new PTFE swivels in his incredible hit of 27 carp from Bramblemere. 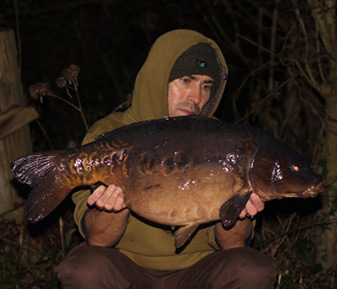 Tom Andrassy dusts off the rods and gets amongst the Conningbrook residents using the new TA end tackle range. 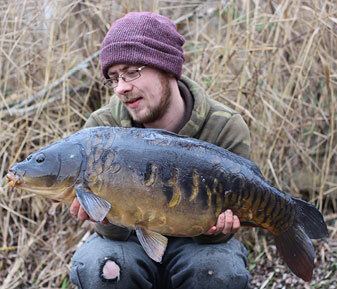 Luke Wallace with 'Victor No Wrist', caught using D rigs constructed from TA Tungskin and hook ring swivels. Dan Ibbott used our newly released leadcore and swivels to tame this trio of Black Swan beauties. 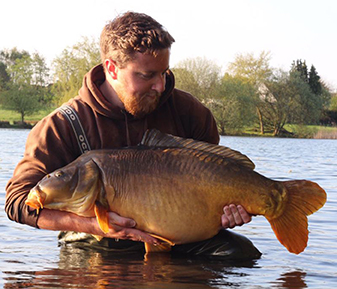 Simon Kenny continues his run of success over at Kingsmead 1, using our newly released Olive Camo 45lb leadcore. 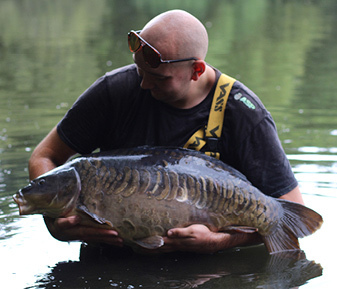 Alex West moves over to Yateley's Match lake during the sweltering summer. 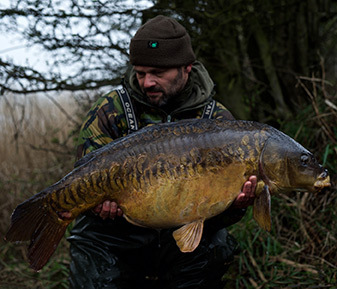 Simon Kenny's incredible season culminates in his ultimate target, the original Longfield fish known as 'The Woodcarving'. The expanded and rebranded terminal range is set to drop in a week's time. 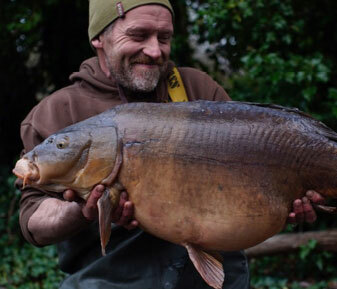 An in-depth account of Oz Holness's run up to catching the famous old common known as 'Swirly' - The Queen of the Stour Valley. 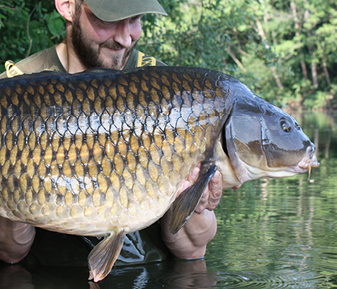 A massive well done to Tom Stokes for his capture of the much revered Burghfield Common at 53lb 8oz. 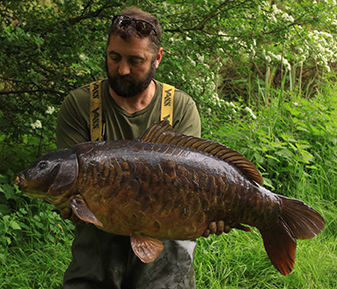 Mick Christie makes a swift move and catches the old Kent warrior knows as 'Rasta'. 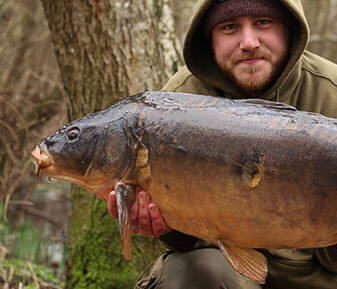 Simon Kenny joins the TA team and catches on our test hooks from the off. 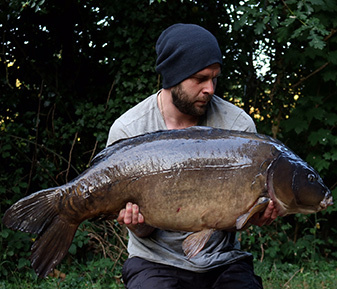 Luke Wallace's tale of 'Milton Mayhem' as his summer gets off to a dream start. 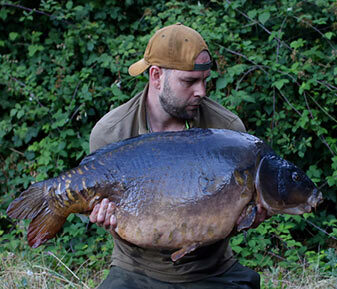 Danny Hillier tells his story of his first North Lake 30. 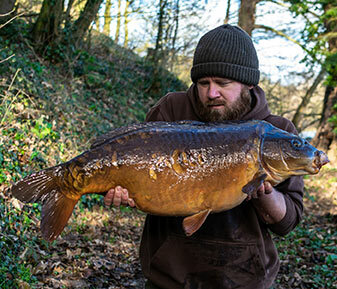 Read on to hear about Rob Beckett's series of hard earned captures from some Kent history waters. Our new and improved products now come repackaged in minimalist styling, with cool dark greys and fresh green geometric patterns. 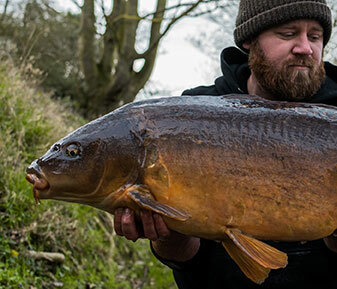 Myles Gibson well and truly put our new unhooking mat through its paces, banking 13 fish, culminating in the incredible Petty's Common at 46lb 10oz. An insight into what Oz Holness has been up to over the past 6 months since he left the fire service to become an integral part of the TA team. Luke Wallace – Storming into 2018! Luke Wallace's winter roll continues into the Spring of 2018!